Are the three days exciting? Are you a tattooed techno dj? And yeah, I’m done with these people. cant stand the needles any sort so no 'toos for me. Otherwise, Berlin has a soft spot in my heart. Mostly for the small things. Vegan streetfood. Colourful and openly lgbt community. Noise scene. Things I miss in my cozy homeland. Remembered the deadline for early bird tickets! Just ordered 2. Yea! First Superbooth for me. Damn, … my wife just arranged a little holiday retreat in Italy, starting … 9/5. All good, I love hitting the road and driving the Bulli to new places! Hahha, what was I thinking, when I thought this year I was going to make it? I’m buying tickets today, flying in from UK. Any other accommodation tips? I’ve been to Berlin once but only got a couple of days and stayed in a swanky hotel in the middle of tourist-ville. Not wanting to do that this time - Kreuzberg seemed fun, so thinking maybe stay in a hotel or AirBnB somewhere like that - any recommendations? Also, how long and difficult is it to get to the venue? I’m going. Should be occasionally lurking on the ‘Push Turn Move / Patch & Tweak’ stand in between bouts of wandering around aimlessly. I’ve booked my tickets for Berlin during Superbooth, haven’t bought the actual ticket to Superbooth yet. I’m going there to collect all the Eurorack stickers. I don’t know what the big deal about Superbooth is, though. Are we allowed to play around on systems manufacturers are exhibiting? Ah - nice find, can you link me the Apparat gig pls? 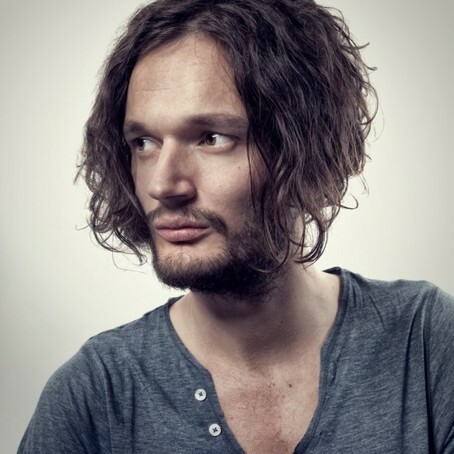 Buy tickets to see Apparat live in Berlin. Track your favorite artists on Songkick and never miss another concert. 10th, not 11th, my bad! But during Superbooth. Ah yes - brilliant, thanks! Going. Any 'nauts gathering there during Superbooth? Hi DavyP! Glad to hear you’ll be there too. Question: will you demo or show Impulse Command at Superbooth? That’s one of the reasons I’m coming Please say yes. same here - travel + hotel + ticket are too much for me. I have an Impulse Command arriving shortly. I’ll put a few demos up here when I get it. Shouldn’t take long to put something together as I’ve played about with the prototype so am familiar with its workings.